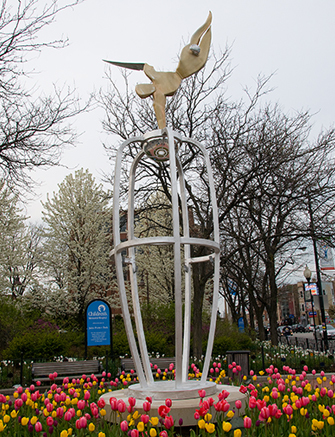 Scarff, a fulltime sculptor, is proud to say the pocket park located at Clark and Wisconsin was laid out by his design to optimally showcase his central fountain sculpture. 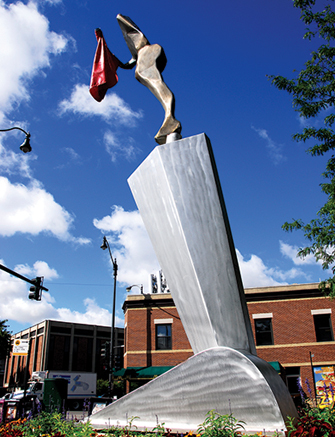 His new work, “Goddess of the Wind and Sand,” is about standing directly in the wind and defying the elements. 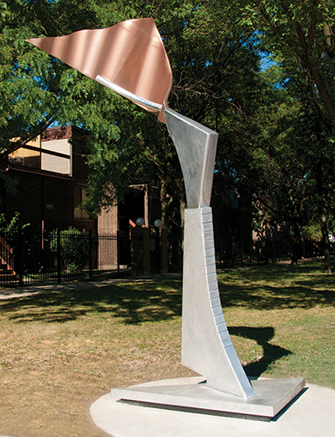 Conceived for an urban setting the piece was intended to capture the moment of truth just as the wind blows and lifts your scarf into the air. Scarff is an expert in the usage of light in sculpture. 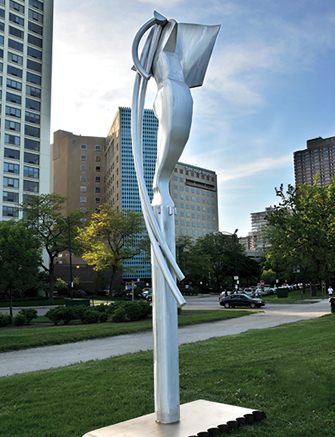 Although separate from the electrical grid, “Goddess” is an exploration of sculptures’ ability to electrify and illuminate themselves. 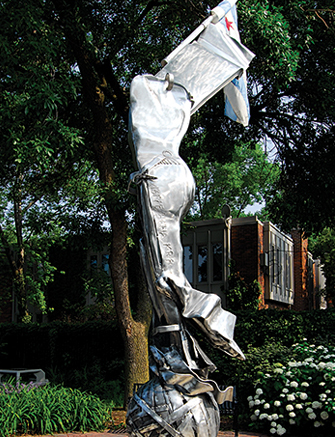 As a result the bronze and aluminum work is a shimmering, fluid creation with a twenty-four hour presence.